Cumberland Maryland will again play host to one of bluegrass music’s premier festivals beginning Thursday as Delfest rolls out its eleventh edition. Thirty-eight acts from across the bluegrass and Americana spectrum will gather for four days of music across three stages at the Allegheny County Fairgrounds. This Year’s festival will be highlighted by Saturday night’s Bluegrass Congress, an all-star jam hosted by the Del McCoury Band and joined by David Grisman, Ricky Skaggs, Sam Bush, Jerry Douglas, Bryan Sutton and Stuart Duncan. Festival founder Del McCoury gathered this premier assembly of musicians by means of hand-written invitations on parchment scrolls delivered by courier to all the participants. The Del McCoury Band will have mainstage sets each day of the festival, and we can expect to hear a bit of McCoury’s new album Del McCoury Still Sings Bluegrass, scheduled to be released on Friday. 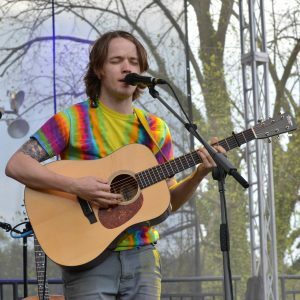 Other headlining acts for the weekend include The Infamous Stringdusters, Rhiannon Giddens, Greensky Bluegrass, Kentucky Thunder, and Old Crow Medicine Show. A pair of acts from Baltimore’s recent Charm City Bluegrass Festival will be making reprise appearances, fast picking crowd favorite Billy Strings and The Travelin’ McCourys, who will be releasing their own self-titled debut album at the festival. 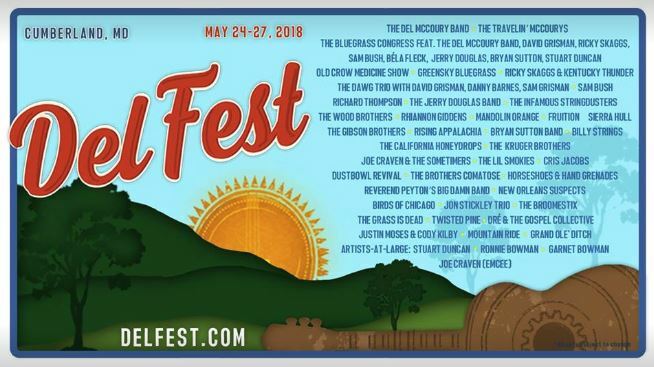 Both Strings and The McCourys will also be a part of Delfest’s Late Night lineup, a daily doubleheader after the main stage headliner wraps up. Strings will be paired up with The Brothers Comatose on Saturday and Travelin’ McCourys will be joined by Horseshoes & Handgrenades to wrap up the Festival Sunday Night. The front end of the late night lineup features Fruition and The Lil Smokies on Thursday and The California Honeydrops with Dustbowl Revival on Friday. Baltimore Post-Examiner will be onsite at Delfest to provide full coverage, be sure to check back for daily updates.